RANCHO SANTANA, NICARAGUA – We got here yesterday, after the usual travel indignities. What we like about Ol’ Billy, our daughter’s blind dog, is the way he bears his afflictions with grace, which is the best any of us can do. He asks for no special treatment. He doesn’t expect to board the aircraft first or find a special parking place waiting for him outside the terminal. Nor has he let himself get so fat he can’t walk through the terminal on his own legs. Instead, he does his best, and counts on the kindness of friends and strangers when he needs it. This not only helps him get where he is going, it also gives his human friends a chance to show a genuine and decent emotion towards him. Tomorrow at 8 pm ET, we’re hosting a landmark event that could forever change your life. 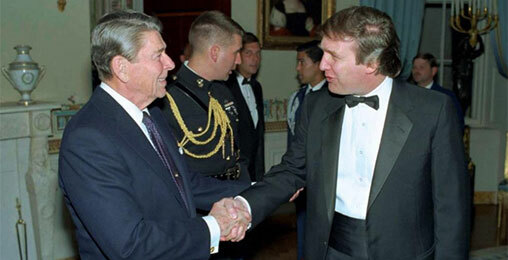 Surprisingly, President Trump correctly predicted this would happen 25 years ago. Now, thanks to a recent Supreme Court ruling, over $4 billion is expected to flood the stock market on one day. The mainstream media isn’t reporting on it. But now for the first time, we’ll have a former money manager in studio to share the full story behind this watershed moment. Among the indignities visited on a weary traveler in the USA is the Transportation Security Administration (TSA). The presumption is that an airline passenger who has not been properly inspected by the TSA is more likely to blow up a plane than one who has been given a good once over. But where is the evidence? There is none. Speaking for ourself, we rarely cause mayhem on a commercial flight. It is only after a good pat-down that we even bother to think about it. As for the statistics, the rate of violent incidents involving airplanes was tiny before the TSA. It is tiny still. And at least one test suggests that the TSA doesn’t make any difference anyway; people can still get weapons past the “security” team… and could still wreak havoc in the air if they wanted to. But wait… the TSA apologist will say… “if we save even one life, that will be worth it.” But will it? Life is time. The average one lasts about 613,000 hours, including time spent sleeping. That’s the same as 2.5 million people, spending 15 minutes each, waiting to get approved by the TSA. 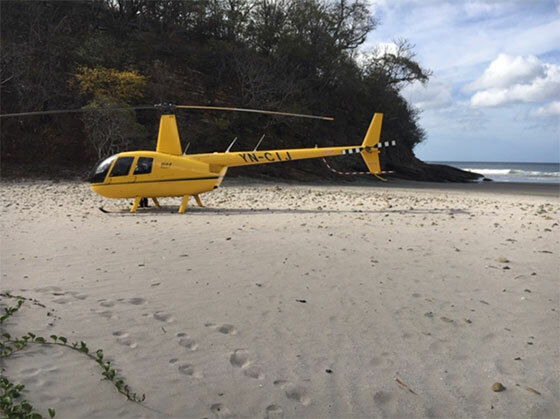 And since the Federal Aviation Administration (FAA) claims there are about 2.6 million people taking to the skies every day, the total time wasted must be equal to about 380 whole lifetimes each year. We don’t know if the TSA saved a single life – ever. But we know, grosso modo, that it has deadened about 6,800 travelers over the last 18 years. And that doesn’t count the 57,000 TSA employees whose careers are wasted doing something badly that is probably not worth doing at all. It’s a new, must-see warning that could set the stage for one of the biggest and fastest investment gains of your life. And why it could either make you thousands of dollars this year… over and over again… or make you a victim of the worst market drop in 11 years. But let’s move on… with a quick update about what is going on here. When we arrived at the airport yesterday afternoon, there were very few people there. And out on the street, it was calm… with little traffic. Drivers slept on hammocks slung under their trucks, just as they always did. “You wouldn’t think the country was on the verge of a civil war,” we said to the driver. With hardly any coaxing, he opened up. “The problem is political. The current government is corrupt. Everyone knows it. But there’s no way to express ourselves through our [congress]. It is dominated by the Sandinistas [the political party in control of the government]. “So far, about 300 people have been killed in protests and nobody knows how many have been picked up and ‘disappeared’ by the government. That’s the thing, you don’t know anything. We don’t know what’s happening. “It looks like Ortega [Daniel Ortega, the president] is trying to calm things down, by adjusting his tax proposal so it hits the rich more than the average guy. 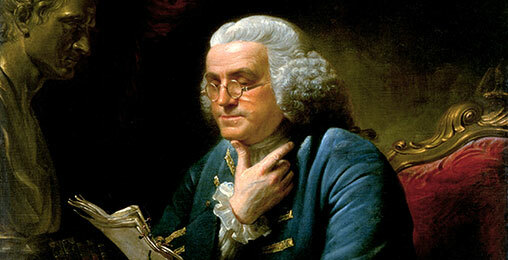 Banned for 155 Years, Ben Franklin’s “Money License” Legal Again? Benjamin Franklin was a very rich man – But do you know how? The Founding Father owed the biggest part of his fortune … not to the invention of bifocals, the lightning rod, or Poor Richard’s Almanack… but to a special type of “money license” he used to help U.S. colonies prosper. His method worked so well that – according to some historians – the federal government was forced to ban it in 1863. “Nobody knows anything,” he began. “Rumors are going around like crazy. We hear that Ortega is in the illegal drug business along with the Venezuelan generals. Then, we hear that he’s ready to call it quits. You hear things. You don’t know what to believe. “But here’s the bottom line as far as I’m concerned. Sooner or later, this government is going away. And Nicaragua will still be here. And then, this whole area is going to take off… partly because of the work you’ve done. The waves crashed on the rocks last night, as the red sun sank into the sea, as it always does. A few surfers continued riding the waves until after dark. “No, no… no need to apologize. You’re responsible for getting me here. And I love it. I’ve been coming here since 2004. “I bought a place down the beach. I’m retired so I can spend the winters down here. I sent photos of myself on the beach to my son in Michigan. He sent me a photo… dressed up like Nanook of the North. Editor’s Note: While Bill is in Nicaragua, he plans to explore the Nicaraguan coastline. Today, our editor shares a picture of his preferred means of transportation. So far in 2019, the stock market has put on a brilliant rally. The S&P 500 is up better than 6% in just a few weeks. That’s a decent gain for an entire year. It’s a spectacular run for less than a month. So, as I mentioned last week, investors ought to consider taking some chips off the table and then maybe taking a nap for a little while. I didn’t mention anything about selling stocks short – which is betting on a market decline. A 60-minute chart plots data points on the chart at the end of every hour. It’s a short-term look at the stock market. And, patterns on this chart tend to play out within about five to seven trading days. The interesting thing about this chart is how well it defines short-term, tradable trends in the market. For example, each time the S&P 500 crosses its 50-period moving average (MA) (the blue line, which is the 50-hour MA since this is a 60-minute chart), the index tends to make an extended move in the direction of the cross. Traders would have done quite well over the past three months by simply buying the S&P 500 when it crossed above the 50-period MA on this chart, and then selling that position and going short when the index crossed back below its 50-period MA. In other words… buy on the blue circles and sell/short on the red circles. The last signal from this chart was a “buy” signal just before New Year’s Day. The stock market has gone pretty much straight up ever since then. But, this current uptrend is getting a bit “long in the tooth.” The decline in December lasted about three weeks. The current rally in January is a little over three weeks old as well. So, I’m thinking it might be time for this chart to cross to the downside. I haven’t yet taken a short position. But, I’m getting anxious to do so. Because once this chart breaks to the downside… then look out below. We could see the S&P give back a good chunk of its recent gains. A move down to 2510 or so would be a decent target. So… yes… I’m leaning a bit bearish for the next week or two. But, until this chart actually breaks down, the bulls remain in control. Keep an eye on that 50-hour MA level near 2637. A close below that level at any point over the next few days should shift the short-term trend to bearish. P.S. Did you catch my brand-new presentation last Saturday? If you did, you know exactly why it’s imperative that you start preparing for 2019 right now. Taking the right steps means being part of a select group of people… One that came out of 2008 not just unscathed… but even richer than before. The coming market crash will devastate most folks. But you don’t have to be one of them. Click here to get the full story. P.P.S. And be sure you check your inbox this evening at 5:30 p.m. ET. I’m sharing a brand new trading essay in a special evening edition of the Diary. I’ll show you how you can profit when stocks crash, and reveal the three types of falling stocks you’ll want to target. Again, be sure you check your inbox at 5:30 p.m. ET. Need some extra cash, dear reader? Good news! Silicon Valley giant Facebook is giving some of its users $20 a month. The catch? You surrender your digital privacy. Every move you make on your phone will be watched, monitored, and studied. Always. Most investors will be wringing their hands during the next big drop. But master trader Jeff Clark is ready… That’s because he’s developed a strategy that can double your money again and again when the market panics. Here’s how. You, sir, are full of hot air! There is no way Americans can possibly even warm to the idea of socialism and our government should not even allow it! Every place it’s been tried has been an abject failure! Everywhere! Those that do are simply enticed by the “free stuff” they are promising. All that comes at a price for someone! Any form of socialism that’s tried will be met with great resistance, even civil war! I still love Margaret Thatcher’s comment “The trouble with socialism is that eventually you run out of other people’s money.” Let all the socialists move to Venezuela for the next four or five years. My guess is they would come back with a changed attitude. That woman, Alexandria Ocasio-Cortez, is a nut! The rich pay enough in taxes. I don’t believe in socialism. I see how well it’s working in Venezuela. God bless our president in all he does. We absolutely must not allow America to fall down to Venezuela’s level. That must never happen. Who cares about Venezuela? We have a dictator right here in Washington… Trump. 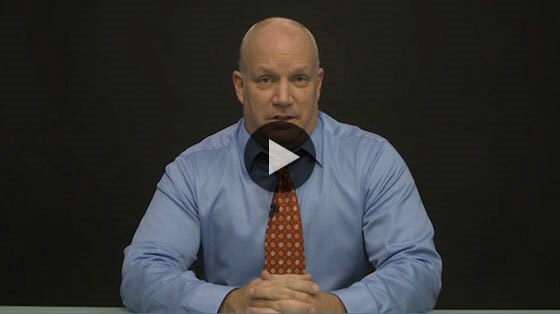 Last Saturday, master trader Jeff Clark released a special video presentation. In it, Jeff showed readers how they can double their money again and again when the stock market inevitably crashes. Thousands of readers tuned in to get the secret straight from the man himself. And you can too. Go right here. But don’t delay. This presentation will go offline tonight at midnight. Watch it while you can.